Have you ever gotten lost in an old family photo album? Like that time you made it a goal to declutter a space and then you pick up a stack of images and somehow 30 minutes have flown by? This is me, every time I am back home and every time I'm in the attic. And this is why I am passionate about printing photographs. I strongly believe it is a family necessity to have images to pass down to our children and grandchildren. With a Sweet Wally custom photography experience, you will receive those images to hold, to keep and to pass down. During our Reveal & Ordering Session in your home, you will have the chance to select the package that is right for your family. 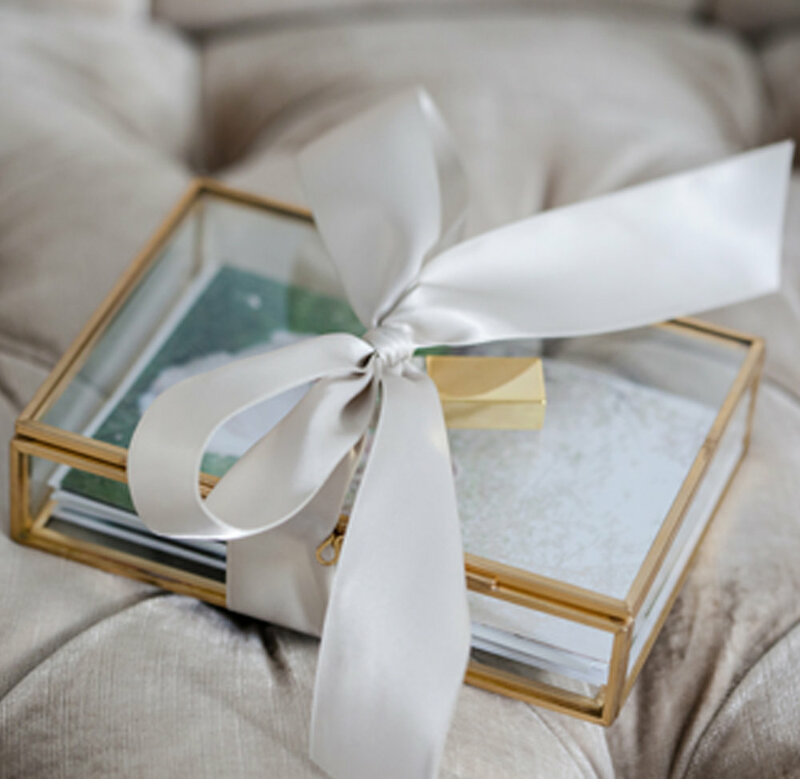 You can choose between glass print boxes, albums or custom wall art created from nine different frame options, all hand-crafted in the United States. The maternity session fee & fresh 48 session fee is $150. The newborn session fee is $250. Maternity session fee is waived with paid newborn session fee. This does not include any digitals, prints or products. Following our session together, I will return to your home for a Reveal & Order Session within three weeks, where you will view your images and select the heirloom products and wall art for your home. I will walk you through your family images, showing gallery wall art options customized for your home & sample products, and answer any questions you may have. Heirloom product packages with corresponding digitals begin at $595. Image and wall art purchases are made during our Reveal & Order session. Sweet Wally families plan to invest between $800-$2,500 for their custom photography experience. Ready to book? Awesome! Let's start chatting HERE.